Poetry - Deep and Meaningful? There were two things I absolutely hated about school. The first was gym class (but that's a whole different story) . The second was the fact that we were not allowed to just read and enjoy poetry, we had to analyse it and find the meaning behind the words. This got my goat for two reasons. Firstly, poetry has to be able to mean different things to different people. You cannot dictate what a poem means to somebody else - that is like telling them what to think, removing their freedom of choice, brainwashing. 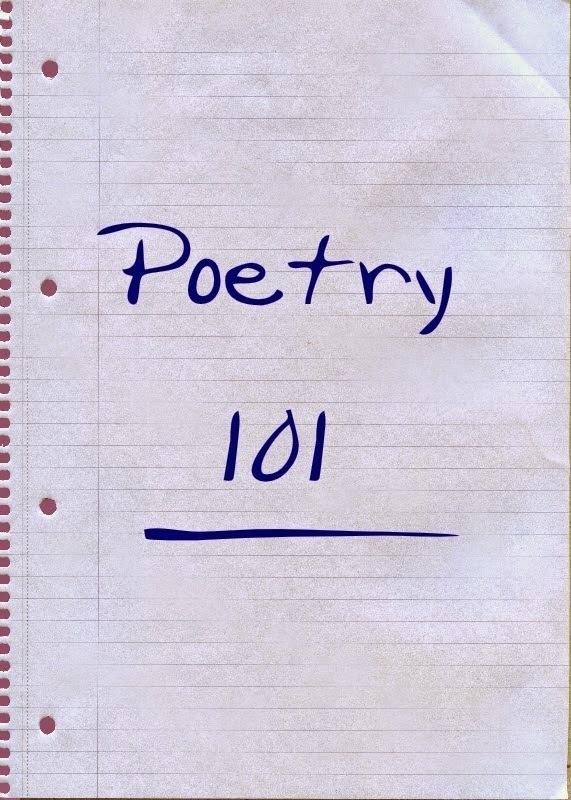 There is only one person who knows the intended meaning behind a poem and that is the author. Even then, having since talked with many poets, the composition of poetry is such an organic thing that even they often don't intend a hidden meaning for their words, they write them because it "feels right" rather than attempting to convey a specific secret message in a literary contrivance like some spy in a wartime novel. Therefore nobody other than the poet can assume, with any authority, to know what they meant when they wrote a specific phrase or used a specific word because they may not know themselves. This over analysis kills the enjoyment of even the most beautiful poetry. Secondly, there are many poems in existence which, in my opinion, are exactly as straight forward as they seem. There is no hidden meaning. The poems are ... just what they are. Those classed as "nonsense verse" are prime candidates. You look at them, read them, say them out loud, think "WTF are they on about" (about as much poetry analysis as you should ever do), then forget about that and just enjoy the words. My favourite nonsense poem, by Christopher Isherwood, starts "The common cormorant, or shag, lays eggs inside a paper bag". The first line of that poem (in full here) has been in my head for years without me knowing what the poem actually was and it's only in the last 10 years or so that I found it again. I must have heard or read it at some point in my childhood and it stuck. There is no hidden, deep and meaningful analysis that can be done to this poem without getting totally ridiculous. So this poem just "is" and should be enjoyed as such. The only thing you may actually learn from the whole poem is that a shag is another name for a cormorant which, incidentally, it isn't, it's a whole different bird. There are plenty of other comic and nonsense poets as well whose work can be enjoyed without giving it a lot of thought. There are literary classics such as Lewis Carroll's Jabberwocky, written as part of Alice Through the Looking Glass. If that is too daunting, and it may be for now so don't panic, Lewis Carroll also wrote verses like “Twinkle, twinkle little bat, how I wonder what you're at! Up above the world you fly, Like a tea-tray in the sky”. See? That was ok wasn't it? And yes, that counts as "proper" poetry. Edward Lear wrote many nonsense poems and straightforward rhymes, some of which you definitely know already, like The Owl and the Pussycat. The Golden Trashery of Ogden Nash (the book title itself is a mockery of Palgrave's Golden Treasury - a "takes-itself-too-seriously" poetry book) contains such gems as The Dog. Even Spike Milligan wrote poetry, and you can never take him seriously - I love "I must go down to the Sea Again" because it's a parody of one of my own favourite poems by John Masefield. I'm not going to mention Pam Ayers (look her up if you must - I will accept that it is legitimate poetry, just not my taste) so I will finish on a line of poetry from the greatest comic poetry style of all - the anonymous limerick. "There once was a man from Nantucket..."